I often think of the past 3 years in Hong Kong where I used to live. Hong Kong remains dearly in my heart. The busy hustling Causeway bay, beautiful repulse bay beach, riding old trams with locals, gorgeous HK view from the peak, Stanley market, restaurants in Lan Kwai Fong, Wan Chai Market, fancy designer shops, the quiet New Territory, many surrounding islands, and the food… Boy! It is so easy to indulge in food when you are in HK. I miss them and I crave them all. I have met so many wonderful people and learned to enjoy and respect this amazing city. But out of all these exciting memories, there is one person that I often think of. She was my domestic helper. She is from a small village near Surabaya, Indonesia. She was quiet, shy young girl who dreamed of having her own restaurant someday in her hometown. I don’t think I could have enjoyed HK as much as I did if she was not there for me. She loved Korean food. 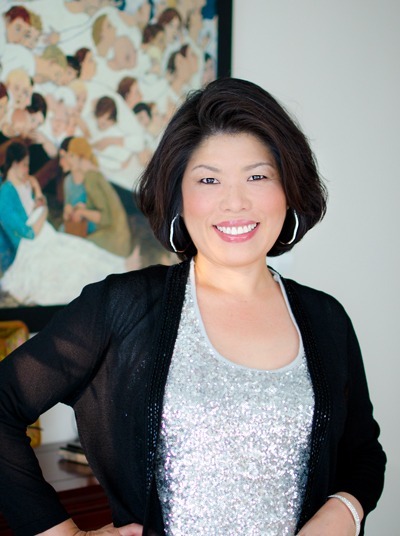 She quickly learned to make kimchee, Korean soups and stews, loads of dishes from me. In return I learned how to make Indonesian curries, satay, nasi goreng from her. We got along very well. Well, more precisely, she was very patient with me. My family was sad to leave her behind when we left HK. I don’t think I thanked her enough for her service to my family. So here I am, introducing one of my favorite dish that I learned from her, Sayur Lemak; vegetables in coconut milk, to show my gratitude to her. I was told that Sayur Lemak is breakfast food in Indonesia. But, in my house, it was for dinner with grilled chicken satay and pineapple salad. When my sister came to visit me from Korea, Utari served this meal. She loved this Sayur Lemak so much, she requested the leftover as breakfast next morning. 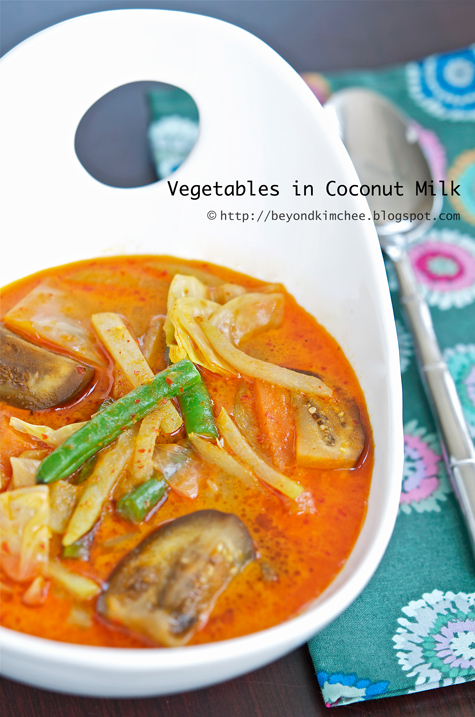 Sayur Lemak can be quite spicy if using those tiny bullet red chili. I use finger long red chilies and you can remove the seeds to reduce the spiciness. 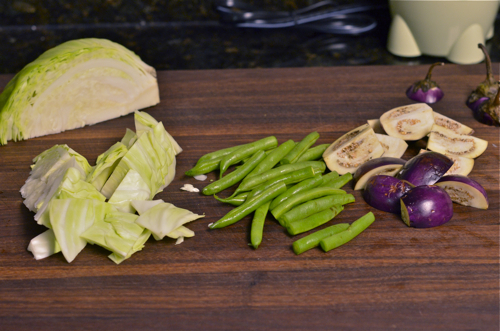 Typical vegetables used in this dish are cabbage, carrot, snake beans, eggplants but you can always use your own choice. Traditionally fried tofu is added at the end but I didn’t use this time. 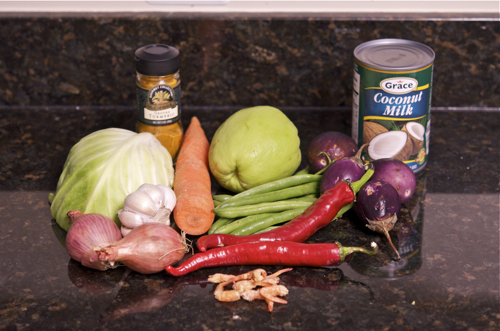 Cabbage, carrot, chayote, eggplants, coconut milk, shallots, garlic, red chilies, turmeric, and dried shrimps. Traditionally “Belachan (shrimp paste)” is used for this dish but I don’t have the access to the belachan here, so I replaced with dried shrimps. 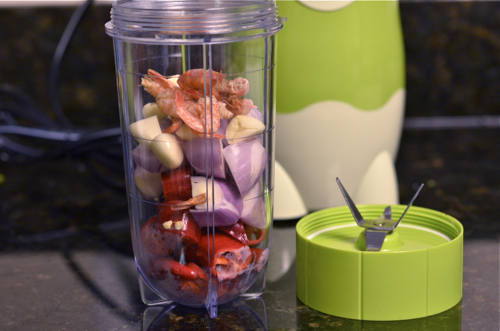 Dice up red chilies, garlic, dried shrimp, and shallots. 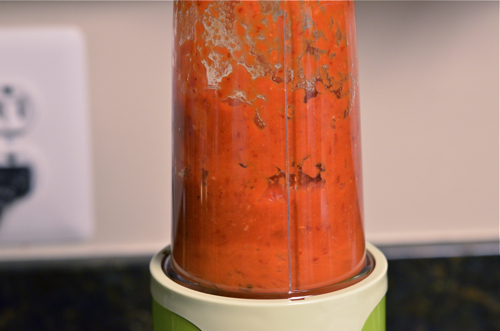 Put them in a blender and add about 1-2 Tbsp to help the blade to run. Less water is better. Remove seeds from the chili if you prefer less spicy. Whip them up… Set aside. 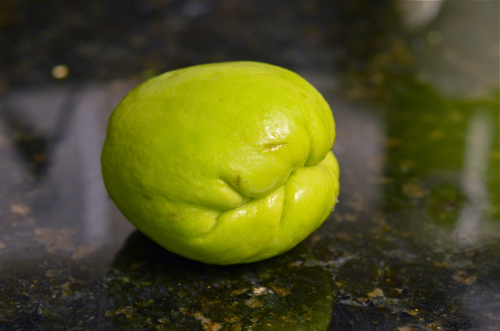 This interesting fella is Chayote, a member of gourd family and a second cousin to squash. Don’t have access to this guys? Well, you can drive 20 miles to your nearest international market or skip it. The choice is up to you. I Luv the texture of chayote in this dish. 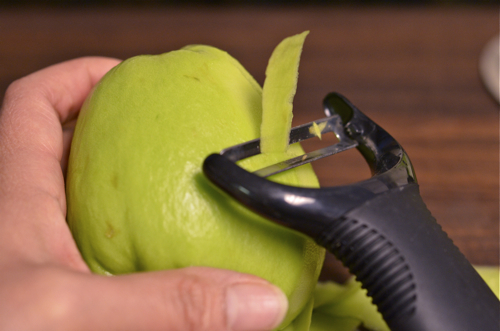 Peel off the skin. Potato peeler works great on this job. Slice and cut into matchsticks. Discard the seeded area in the center. and squish them for 1-2 minutes. You will feel the sliminess disappears soon and gets soften. Give them a good rinse. Set aside. 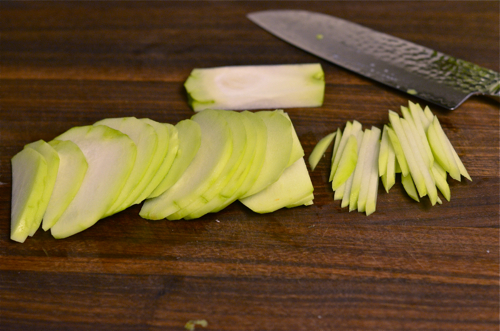 Cut up the other vegetables anyway you like. Mix coconut milk with some water. Heat your pot with oil over medium heat. 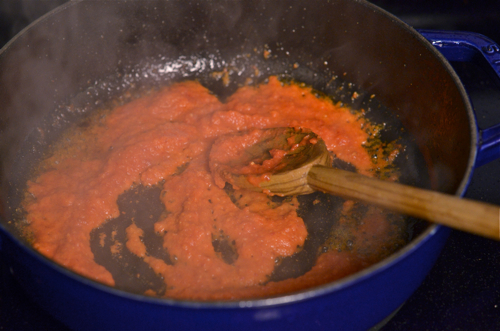 Add the chili garlic puree and fry for 5 minutes. Be careful not to burn them. 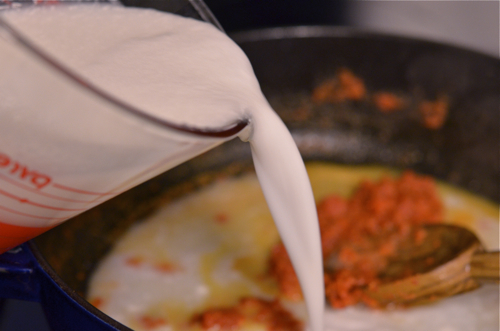 Pour the diluted coconut milk to the pot. I like to add a little bit of ginger. Don’t have ginger? Just leave it out. You will survive without it. 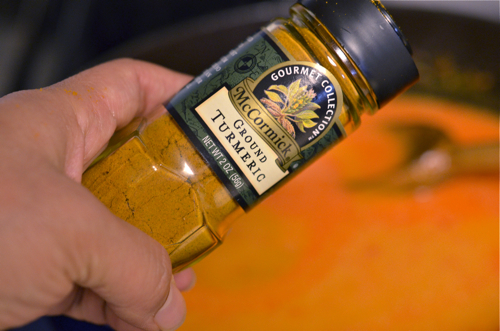 Sprinkle a few dashes of this gorgeous turmeric. Turmeric is very essential spice in SE Asian and Indian cuisine. 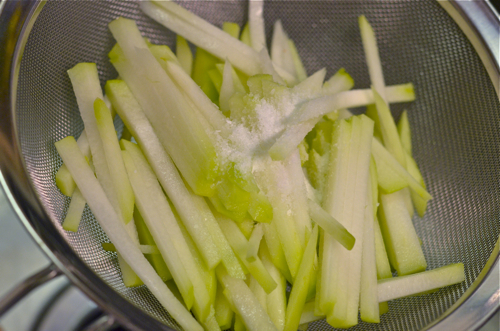 Add the your vegetables, lower the heat to low. Simmer for 20 minutes, uncovered. Do not let it to full boil. Otherwise the coconut milk will curdle, and you ain’t like the look. Voila! 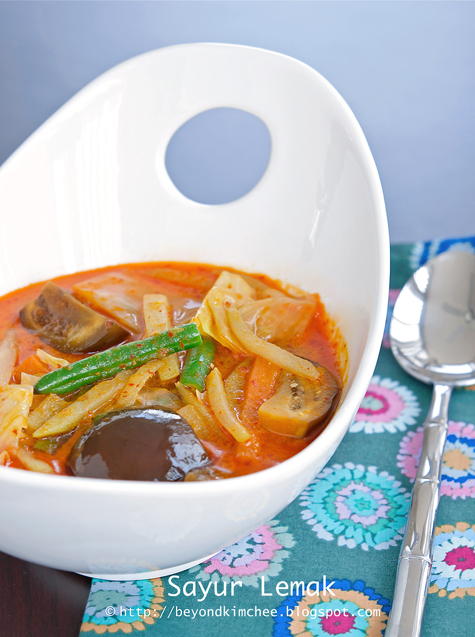 You just got an exotic vegetable stew right in front of your eyes! Don’t forget to season! 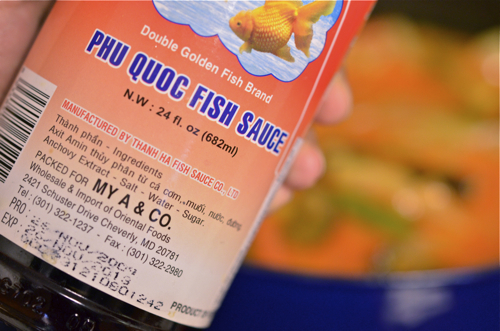 Drop a few splashes of fish sauce to bring all the flavor together. 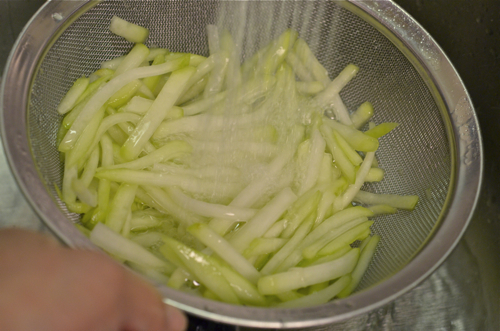 Anyway, when done, pour this scrumptious vegetables over your rice and let the rice to soak up all the good juice. Food like this makes you feel humble. Thank you, Utari, for the amazing dishes you have taught me. I miss you and wish you the best. Something from the other side of the globe. And you will feel like you’ve already been there. 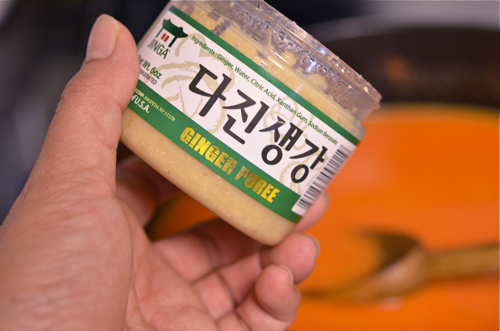 Puree all the spice paste ingredients in a blender with a little water to help the blades turning. In a bowl mix coconut milk and water. Heat a pan or wok over medium heat, add a oil. 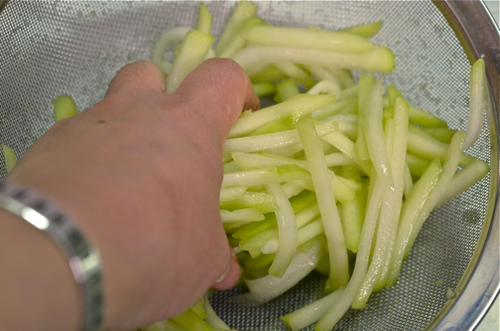 Add the chili spice puree and stir-fry for 5-7 minutes until fragrant. 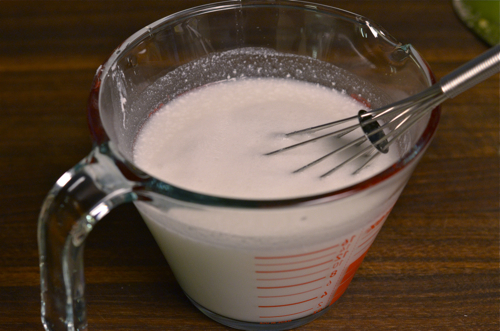 Add the diluted coconut milk and slowly bring to gentle boil. Add ginger and turmeric powder. 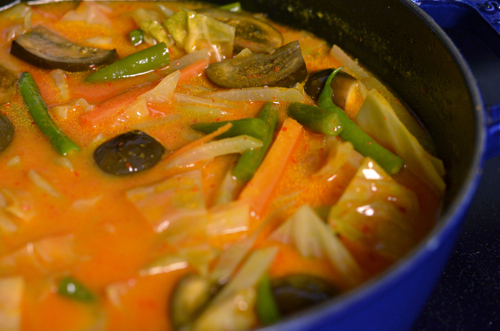 Reduce the heat and simmer for 7-10 minutes, uncovered, until all the vegetables are tender. Season with fish sauce at the end. Nice recipe with a nice story, thank you! Wooooow! 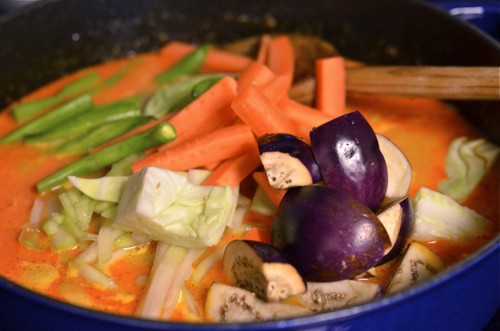 What a nice surprise to find an Indonesian recipe here :) Your sayur lemak looks incredibly tasty! I didn`t know that other Indonesian calls it as sayur lemak as I grew up in Java too with people around me calling it Sayur Lodeh. For the dish, I usually add shrimp paste too as I love its pungency. And she was very lucky to get to learn the Korean cooking directly from you! Ooohhh I look forward to trying out this dish, sounds nice and simple =). Will you post up the pineapple salad recipe as well? I miss HK as well especially all the food, now that you've said, can't wait to go again next yr! By the way, i tried your mackeral stew recipe, but with shop bought kimchi rather than radish, and it tasted just like the stew i had when i visited korea in april, SO good! 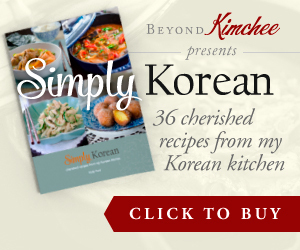 Thank you for all your recipes, i love korean cooking at home now! OOOH, this looks simple and tasty! I second the request for the pineapple salad recipe. haha, and i am going to hong kong soon! your post made me anticipate going there even more. and not to be a stalker or anything, but i happened to see a family with a boy and a girl who looked very similar to your children (in your pictures). did your family happen to be in NYC train station....? Hi Holly, Yumm, love vegetable dishes w/hot rice! I need help, I could have sworn I saw a galbi recipe from your site, must have been somewhere else. Can you refer me to a good galbi recipe? Tks! I think Lemak means "fat" indicating fat from coconut. I am not sure what Lodeh means but it must be the same dish with different name. Yes, shrimp paste will bring much more pungent flavor which I love, but I sometimes hesitate to cook with shrimp paste because it does smell up the kitchen for a few days if you fry them in oil. Good to hear from you Lucy. Did you have a good trip in Korea? Thanks. I will keep in mind for the pineapple salad to post next time I make it. I was in NY subway station with my kids near the Times square last February. Was it around that time? I have posted Galbi Jjim (braised beef ribs) recipe a while ago. If you are looking for the BBQ Galbi, unfortunately, I don't have it yet. I will post it sooner or later when I get an access to an outdoor grill. Yes, in Indonesian/Malay language, lemak means fat and I figured that "lemak" refers to the coconut fat, just like the Malaysian Nasi lemak (rice steamed with coconut milk). The Malaysians (and Singaporeans) actually do call this dish as sayur lemak. And as embarassingly as this will sound, I actually don`t know what Lodeh means! Haha..the shrimp paste indeed leaves such a big trouble for its smell. But now I use Thai shrimp paste and I found its smell are much more tolerable than the one I got from Indonesia.